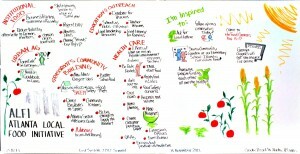 “Food Access Challenge.” Center for Civic Innovation. N.p., n.d. Web. 22 March 2016. <http://www.civicatlanta.org/food-access-lab/>. This webpage was made by an organization called Center for Civic Innovation. 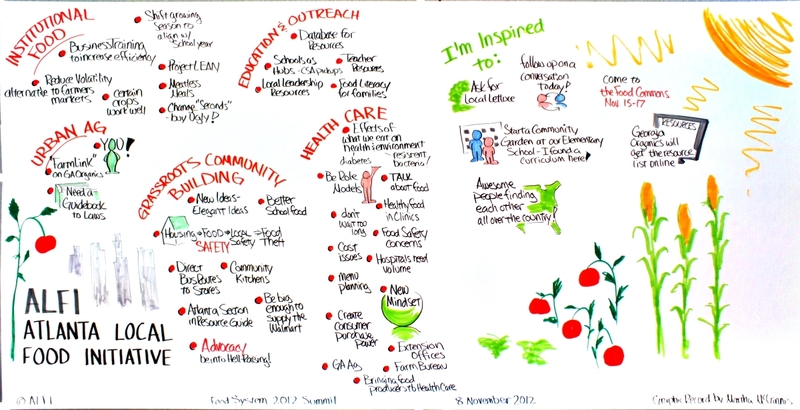 This group works towards solving the food desert problem across the United States. They attack the issue in many different ways like working with local landholders to grow foods, educating children in the area about the importance of nutritious food and how to be proactive about a positive change in their diet, and farm-to-table freshly prepared meals for children at school. The site gives the opportunity for the visitor of the webpage to get involved or to leave a donation, and it provides contact information to all of the entrepreneurs that lead the food desert solution projects listed above. Fetzer, Mary. “4 Fab Lunch Salads.” SheKnows. N.p., 01 November 2013. Web. 22 March 2016. 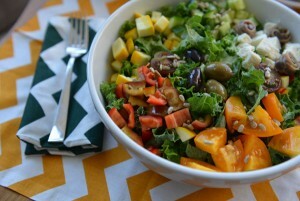 <http://www.sheknows.com/food-and-recipes/articles/1021517/packable-salad-recipes>. It is important to be aware of how the issue I am discussing is being overcome, and I can evaluate what tactic or tactics may be the most effective. Along with the work being lead and encouraged by Michelle Obama, these organizations have the opportunity to make an impact on many needy families. Gallagher, Mari. “USDA Defines Food Deserts.” Nutrition Digest. American Nutrition Association, 2010. Web. 22 Mar. 2016. 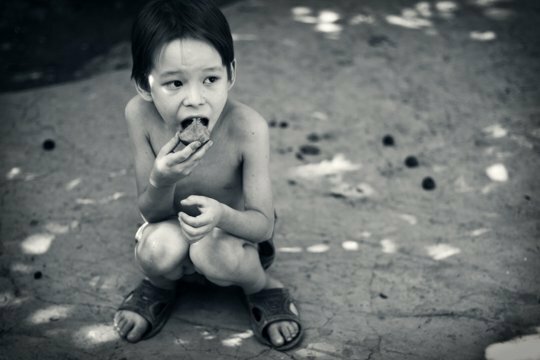 <http://americannutritionassociation.org/newsletter/usda-defines-food-deserts>. This scholarly work provides information on the food desert problem in the United States. A food desert is described as a one mile radius where no supermarkets or access to fresh foods are available. This is a growing problem, and it poses a threat to those that are unable to drive. For people that rely on public transportation, the time it takes them to get to a grocery store is multiplied many times over when being compared to the time it would take them to dive there. 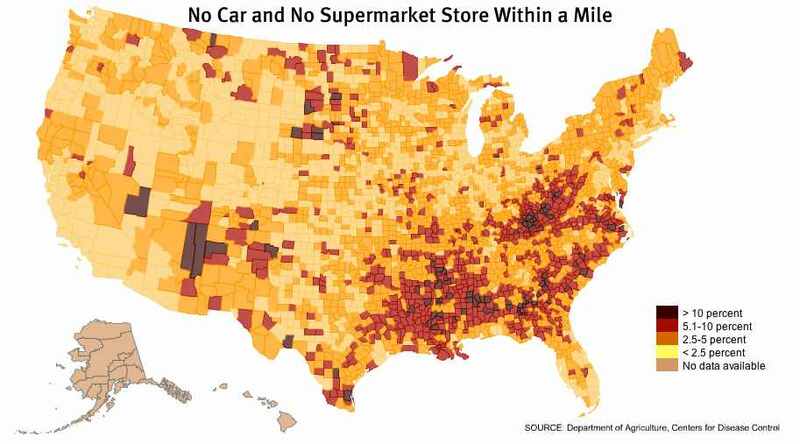 Those that are stranded in these food deserts tend to be surrounded by places like gas stations or small food shops which have an abundance of processed foods with high sugar, saturated fats, and low nutrition. Michelle Obama has brought attention to the food desert problem, and the Healthy Food Financing Initiative (HFFI) is working to supply these small shops with nutritious and fresh foods. Although action is taking place, it will be many years before the affected families will have access to the nutrition they need. This source is a helpful reference for the explanation of and background information is has about food deserts. Newman, Harvey K. “Race and the Tourist Bubble in Downtown Atlanta.” Urban Affairs Review 37, no. 3 (January 1, 2002): 301–21. doi:10.1177/10780870222185351. <http://uar.sagepub.com/content/37/3/301.short>. This scholarly work by a former Georgia State University student is about the history of different communities in the United States, and it puts an emphasis on race inequality. Newman goes into the history of how Atlanta was built and reshaped with time. He argues that the city was built to increase the number of tourists every year despite the hardships they may come to its own citizens. On page seven, he particularly mentions Auburn Avenue and Sweet Auburn, and I can use the background knowledge about the race inequalities in the 1960s to better understand the journey the Sweet Auburn Market has travelled. The past is a direct link to the present, so I can use this article in conjunction with the other two sources I have chosen in order to create a well put together vision of the community of the market. I may not be able to find any sources about the effects of race on the Sweet Auburn Market in particular; however, I may be able to find a document listing the history of vendors to see if there were any major differences after racism settled down. “Sweet Auburn Curb Market Photos.” Yelp. 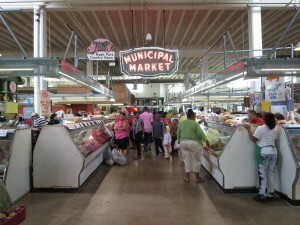 Accessed February 18, 2016. http://www.yelp.com/biz_photos/sweet-auburn-curb-market-atlanta. This Yelp page has over one hundred images of the Sweet Auburn Market that I would be able to choose from for my internal description. I will use pictures that show the vendors and/or the customers in order to create a personal connection between the people of the market and my writing. The wide range of diverse items sold in the market are depicted in these pictures which shows how all different types of people can find something they would like. The images can be used to analyze the presence of community by noticing who the customers are on a day to day basis. My concern for this web page is that I may not be able to properly cite my source for the image I use because the photographers names or dates that the pictures were taken are not given. In addition to this source, I will include pictures that I have taken myself. Bonner, Jeanne. 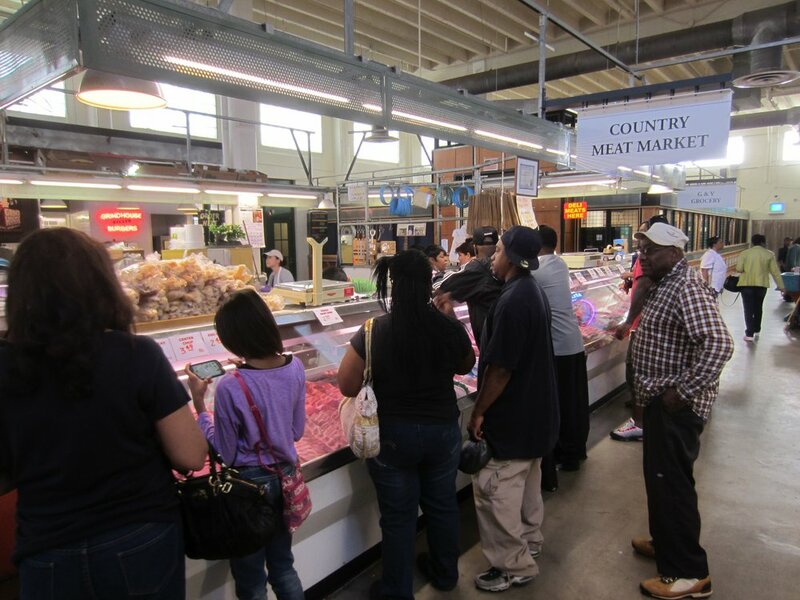 “Sweet Auburn Curb Market Viewed as Business Incubator”. Atlanta Journal Constitution. Accessed February 18, 2016. http://www.ajc.com/news/business/sweet-auburn-curb-market-viewed-as-business-incuba/nQnzB/. 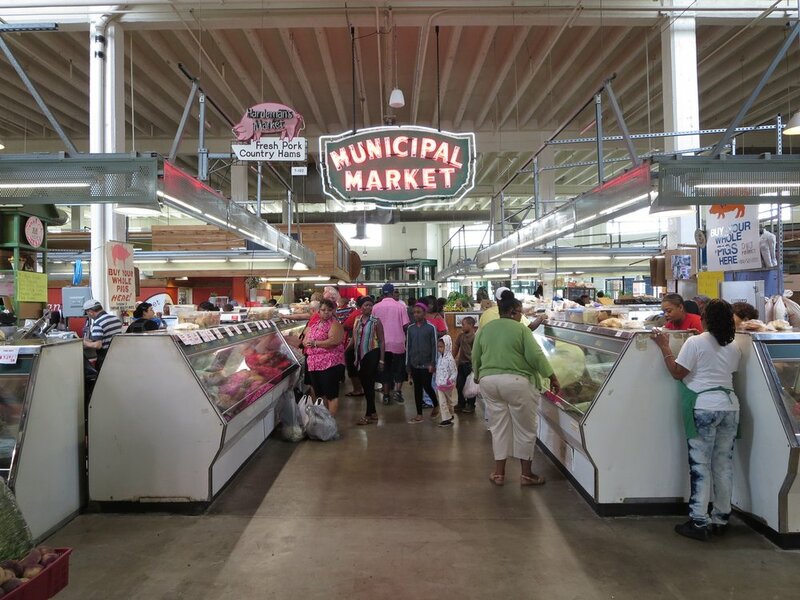 In this article from the Atlanta Journal Constitution, Bonner includes the personal stories of people that have been affected by the Sweet Auburn Market in Atlanta, Georgia. Bonner argues that the Sweet Auburn Market provides entrepreneurial opportunity for members of the Atlanta community. The market strikes people in many different ways. It can be looked at as a place of history, a joining of community, or a convenient place to stop for lunch. 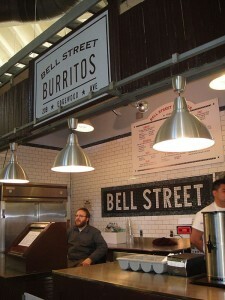 However, in this article, the market is a place of reliance for people like Matt Hinton and Brounstein. For entrepreneurs like these men, the market has been offering a place where a new or small business can have the chance to be successful since it opened in 1924. The market provides an opportunity to vendors to have a stall as opposed to having to dedicate much more time and money to open a storefront. I may use this article in my writing to show the effect the market has on those who have taken advantage of the vendor stalls and to explain how the market can be effective for those who do not have the money to invest in a storefront. I will explore how markets like these can affect the lives of those who seek a better life by becoming a vendor, and how this opportunity for low income vendors can improve the overall economy of Atlanta. While I was visiting the Edgewood Community Learning Garden, I arrived at the time when the elementary students were just dismissed from school. A small group of students walking home from school were curious about what I was doing and joined me in the Garden. During my conversation with them, I became curious about studies that were done about how children are affected by living in poor neighborhoods, living near a public park, or living in an area that has undergone gentrification which is evident in the Edgewood neighborhood. This article explores a little of that by explaining that “youth who moved to the more affluent suburbs were more likely to stay in school, to be in college preparatory classes, and to go on to college than their peers who remained in the city” (Leventhal, Tama, Brooks-Gunn). I believe statistics like these are known by the general public, but I would like to explore why this happens. They mention that families living in poverty tend to have only one parent present and while that parent is at work, the children do not have sufficient instructive care. If I can find enough information in conjunction with this article, I would like to explore how the way these children grow up affects the future of urban neighborhoods. If I can develop a broad idea of this, I may be able to find correlations to the Garden and the neighborhood surrounding it.